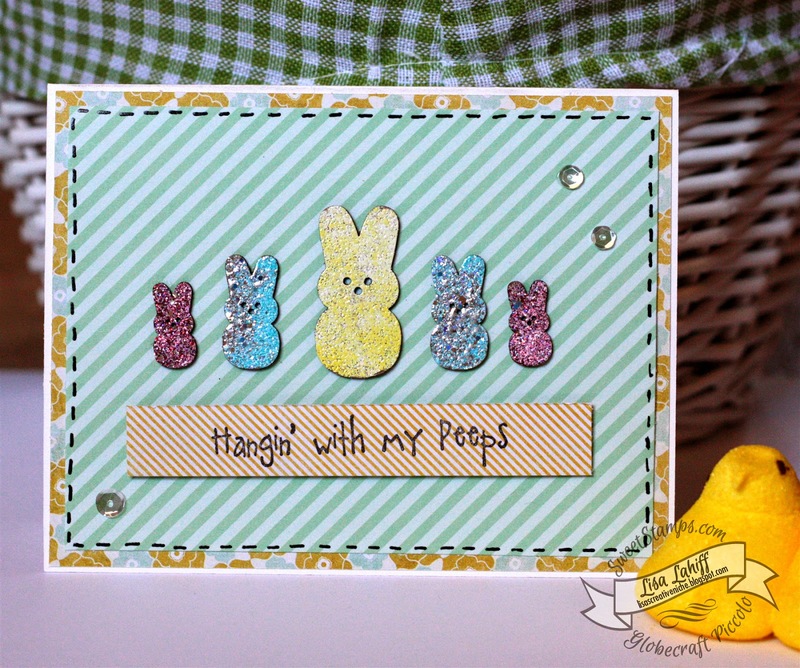 To create this card I started by embossing the little Bunny Peeps in various colors. Now the yellow bunny embossing powder was created by mixing several powders together. I then layered some patterned paper, stamped the sentiment, and adhered the peep. Ta - da! Super clean and simple and let's not forget cute!!! This is so cute, I love the sparkle on the peeps and the faux stitching. What a fun card:) The little bunnies are so sweet!